Dhaka, Bangladesh – This time every year, Dhaka’s intelligentsia, clad in their best, gather at the neatly-trimmed lawns of the Bangla Academy to enthral a crowd of literature lovers with their poetry readings and animated talks. Held since 2011, the three-day Dhaka Lit Fest (DLF) kicked off on Thursday, bringing together once again writers, journalists, historians and artists from around the world to the bustling South Asian metropolis. 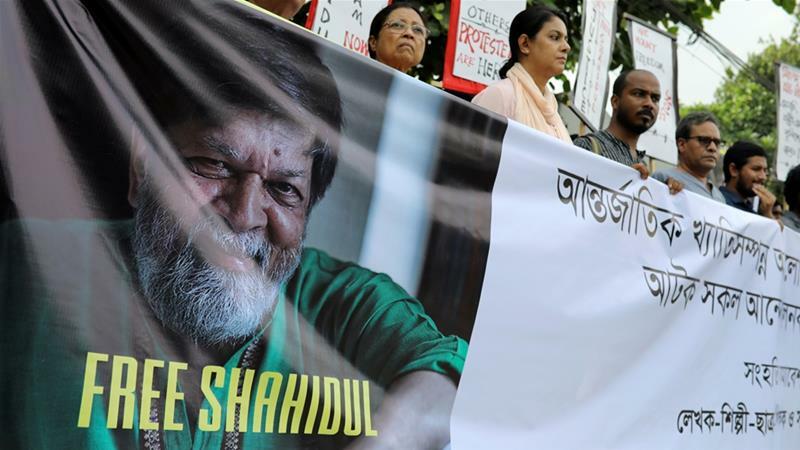 But this year, one particular absence has cast its long shadow over the Bangladeshi capital’s most coveted cultural event, or “the elephant in the room” as one of the attendees put it: that of acclaimed photographer Shahidul Alam, a regular panellist in the festival’s various sessions over the years. The 63-year-old has been held by Bangladesh’s authorities for speaking out against the country’s government. He was picked up from his home in Dhaka on August 5, hours after his remarks over massive student protests were broadcast . Alam has been charged under the stringent Information and Communication Technology Act for “spreading propaganda and false information against the government”.